Ultra Petroleum is a leading independent energy company actively engaged in the exploration and production of oil and natural gas. 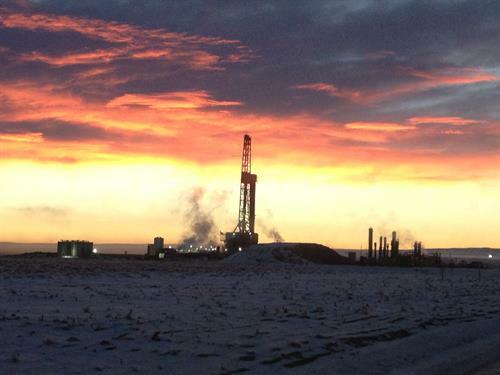 Ultra Petroleum Corp. is an independent exploration and production company focused on developing its long-life natural gas reserves in the Green River Basin of Wyoming ? the Pinedale and Jonah Fields. In addition, Ultra Petroleum currently has an oily exploration effort underway in the Uinta Basin, Three Rivers area in Utah. Maintaining natural gas optionality, Ultra has a position in the heart of the Marcellus shale in the Appalachian Basin of Pennsylvania. Ultra controls more than 103,000 gross (67,000 net) acres in and around the prolific 90 square mile Pinedale Field and the 36 square mile Jonah Field. Ultra?s small yet relatively unique oily opportunity in the Uinta Basin is 9,000 gross (9,000 net) acres in the Three Rivers area of north east Utah. Ultra is the sole operator with 100 percent working interest. The property is in the early stages of development with the real value creation coming from the waterflood potential. Still maintaining natural gas optionality in the heart of Pennsylvania?s Marcellus Shale, the company holds a position of 184,000 gross (91,000 net) acres. The company?s head office is in Houston, Texas, with an operations office in Denver, Colorado and field offices in Pinedale, Wyoming and Vernal, Utah. Ultra Petroleum trades under the symbol ?UPL? on the New York Stock Exchange.